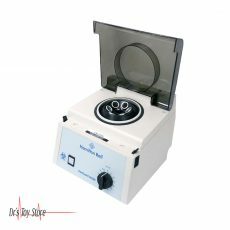 New and Used Centrifuges are for Sale at The Dr’s Toy Store. 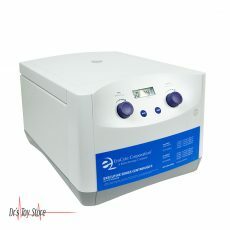 Buy Centrifuges now for the Best prices. The centrifuge is a laboratory instrument which is used to separate liquids, gases or liquids, depending on their density. When it’s time for separation to take place, it is done by spinning a vessel containing the material at high speed; the centrifugal force pushes heavier material out of the vessel. 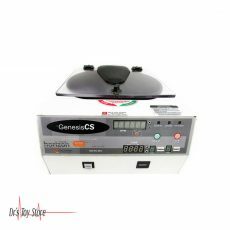 The laboratory centrifuge has been found useful in most laboratories, from academics to clinical, to research and purification of cells, subcellular organelles, viruses, proteins, and nucleic acids. There are several types, which can be classified according to their purpose or rotor design. Ranging from the large floor variety to the micro-centrifuge, there are many varieties available for the researcher. 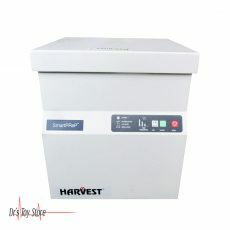 Benchtop Centrifuges: this type of centrifuge is a broad class that is characterized by its small bench space footprint. Depending on the needs of the research, various aspects can be considered. 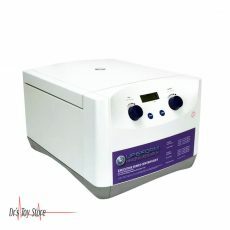 The maximum speed in RCFs can be created from several hundred to more than 50,000 x g. The volumetric tubes can range from less than 1 ml (as for PCR tubes) to several liters. Different types of rotor, such as fixed angles, swinging bucket and continuous flow, are also typically interchangeable. 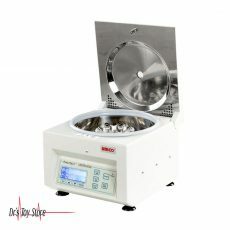 Check out diverse listings of benchtop centrifuges at The Dr’s Toy Store. 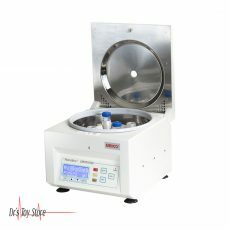 Refrigerated Benchtop Centrifuges: These are compact instruments that are ideal for centrifuging samples which can be sensitive to temperatures, such as live cells, animals or proteins. 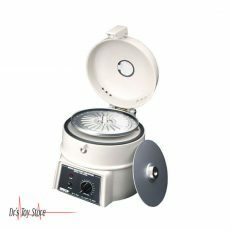 Many feature interchangeable rotors and adaptors to accommodate a wide range of sample volumes from under 1 mL to a few liters. 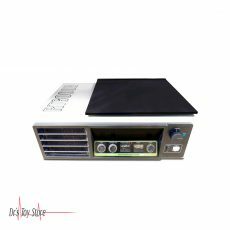 There can be differences in the speeds, and some models can reach 60,000 x g. Check out the different refrigerated benchtop ones currently on the market at The Dr’s Toy Store. 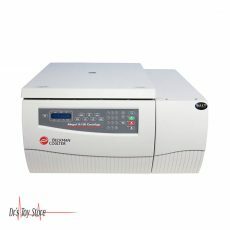 Clinical Benchtop Centrifuges: these are compact and low-speed. 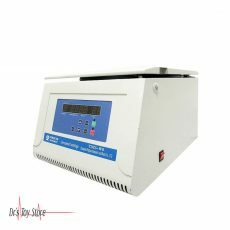 These are deal for separating whole blood components, such as serum, plasma, buffy coat, red blood cells and other body fluids. Their speeds can vary between 200 and 6,000 rpm. Most clinical ones can receive standard blood draw tubes, but make sure you check each vendor for certain tubes or tube adapters. 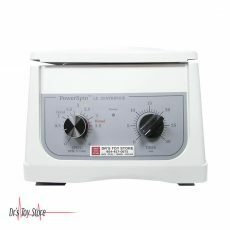 Check out a variety of clinical bench-top ones available at The Dr’s Toy Store. 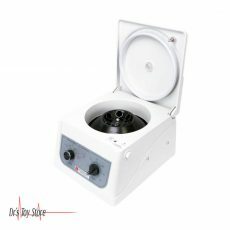 Microcentrifuges: the microcentrifuges are stapled instruments in many research laboratories that generally accept a small volume of tubes such as 2 ml, 1.5 ml, 0.5 ml and PCR tubes. 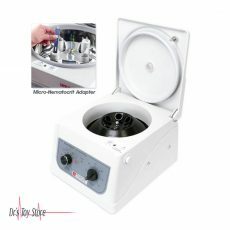 Microcentrifuges for routine laboratory procedures are generally operated at speeds of up to 16,000 x g, and specialized instruments can reach speeds of up to 30,000 x g. In addition, manufacturers can also provide interchangeable rotors and tube adaptors. Compare a variety of different ambient temperature microcentrifuges and refrigerated ones. Vacuum centrifuges/concentrators: this type of centrifuge may use a vacuum, centrifugal force, temperature and/or gas to remove liquid solvents for concentrating or drying the samples. 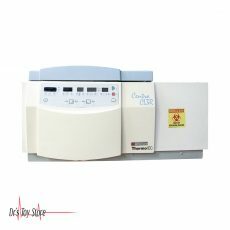 This instrument is ideal for purifying or preparing samples such as nucleic acids, proteins, peptides, and other compounds for different research applications. For evaporation of solvents, vacuum centrifuges mainly use integrated heating systems. Check out different vacuum ones or concentrators here at The Dr’s Toy Store.